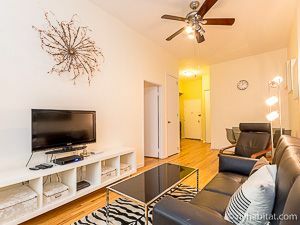 This is our reference NY-16451 Get to know the Manhattan neighborhood of Chelsea with this one bedroom apartment! 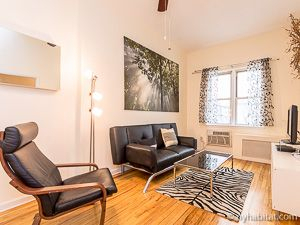 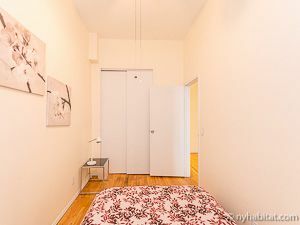 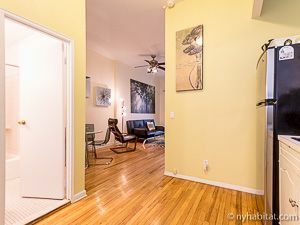 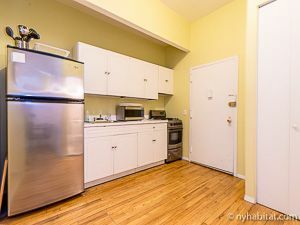 The fully furnished rental is located at West 30th Street and 9th Avenue on the 2nd floor (European 1st floor) of a 2-story walk-up townhouse. 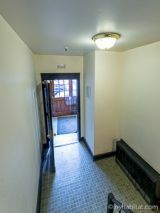 This building offers a security system, northeastern exposure of the garden and laundry facilities. 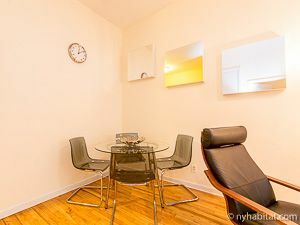 This New York apartment is furnished with contemporary d&eacute;cor and offers hardwood flooring throughout. 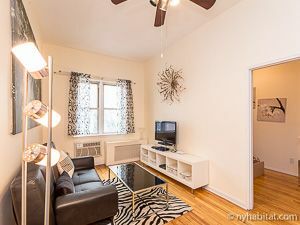 The living room features a full sized futon, dining table capable of seating four people, coffee table and a TV with cable. 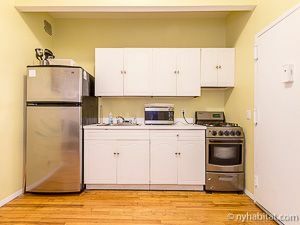 The open concept kitchen is equipped with an oven, fridge, microwave, toaster and a coffee maker. 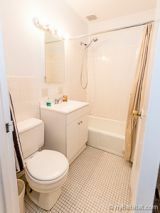 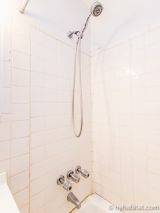 The bathroom features a shower, bathtub, WC and a sink with a vanity. 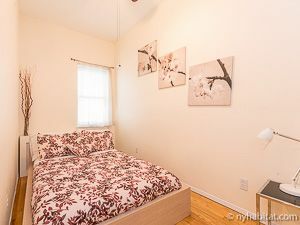 The bedroom is furnished with a full sized bed and is equipped with closet space for maximum storage.